More than thirty stars of contemporary or recent-vintage pop, rock, and country music sing with Tony Bennett on his two CDs of cross-generational collaborations, Duets and Duets II, the second of which was released shortly after Bennett’s eighty-fifth birthday last summer. The albums are narratives of pilgrimage. Most of the guest singers, who include Lady Gaga and Faith Hill, are young or youngish; and the oldish ones, such as Paul McCartney and Aretha Franklin, are considerably younger than the singer who brought them together. Nearly all of them traveled some distance from their comfort zones and their musical frames of reference, abandoning their categories on the Billboard charts, to work alongside Bennett. Performing songs from his repertoire of vintage popular standards (“It Had to Be You,” sung by Carrie Underwood with Bennett; “Sing, You Sinners,” done by John Legend with Bennett) in arrangements suited to Bennett’s style of jazz-inflected crooning, the junior partners adapted their approaches to Bennett’s in gestures of respect not only for his seniority, but also for the ostensible superiority of his music. 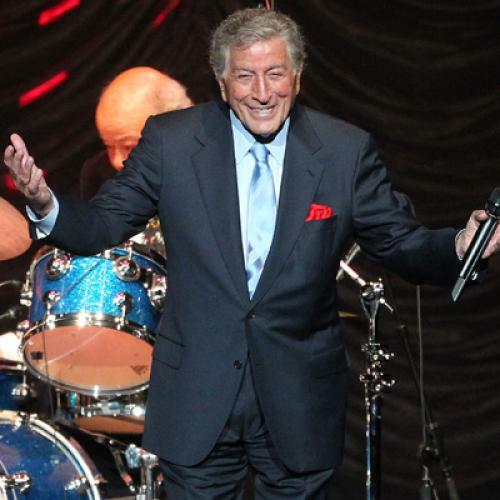 For a singer of any age or musical orientation, working with Tony Bennett is an act of deference, something close to a ritual of secular devotion. Seventy-three CDs. Close to one thousand tracks. Some sixty hours of music. In its scale, its comprehensiveness, and its lavishness of presentation, the set is a thundering positioning statement, an insistent marketing argument for the historical significance of Bennett’s work. Tony Bennett: The Complete Collection has almost no parallels in popular music, outside the quirkily obsessive collections of American recordings packaged by the Bear Family company in Germany. (Available in limited numbers primarily by mail order, Bear Family sets have compiled the recordings of Gene Autry, Louis Jordan, the Carter Family, Nat Cole, and many other important acts, along with sets such as the seven-CD collection of renditions of a single song, “Lili Marlene.”) The only major American singer other than Bennett to have his entire recording output preserved in one luxuriously packaged set is Elvis, whose work for both Sun and RCA Records was compiled by RCA/ Legacy last year on The Complete Elvis Presley Masters, a thirty-CD set with more than eight hundred tracks. Tony Bennett: The Complete Collection is a box like a supermall: its claim to importance is contained in its scale. For that reason, it carries with it a challenge to Bennett’s own claims about the consistency of his standards. Could any artist really do so much of equal excellence? IN THE GENEAOLOGY of Italian crooners—Sinatra, Bennett, Perry Como, Dean Martin, Frankie Laine, Jerry Vale, and others (there have been quite a few others) whose singing was central to the sound of American pop between the eras of Benny Goodman and Elvis—Bennett is the most Italian. That is to say, his singing style has been the most unabashedly, voluptuously emotional—at least in his early recordings, on singles such as “Boulevard of Broken Dreams” (his first success) and “Because of You” (his first number-one hit), which Bennett recorded in the 1950s. Hearing these songs for the first time in years (or, in many cases, for the first time) on the “Columbia Singles” CDs in The Complete Collection, I was taken aback by the cheery feverishness of Bennett’s delivery. He bellows. He gushes. He works himself up in a frenzied two minutes and ends virtually every song with a fiery show-biz finish. Today we think of Bennett as a classicist for preserving a style of music that pre-dates the contemporary era by half a century, and he was doing something parallel when he started in the 1950s, belting like a combination of Jolson and Caruso in a robustly theatrical style that essentially pre-dated the advent of recording. Among the reasons we think of Bennett as a classicist is the fact that he swings with a keen sense of jazz time. Yet that was hardly the case in his youthful work, as the early albums in The Complete Collection show. Born eleven years after Sinatra, he came up in the years after the decline of the big-band era. Every important vocalist in the decade before him-Sinatra, Billie Holiday, Ella Fitzgerald, Billy Eckstine, Doris Day, Rosemary Clooney, Peggy Lee, and even Perry Como (who, for all his weaknesses, had decent time)—learned to sing in dance bands, keeping a pulse and stirring dancers, as opposed to listeners, to move. Bennett was a solo singing act and got his professional training in the studio, recording with string orchestras. He loved jazz, for sure, and was known to sit in with Barbara Carroll and her trio when she was strictly a bebop pianist, playing on 52nd Street. One of Bennett’s early albums for Columbia was with a jazz septet, called Cloud 7, and he soon followed it with a rhythm-oriented LP called The Beat of My Heart, which featured six jazz percussionists, including Jo Jones, Chico Hamilton, and Candido. Still, the time in his phrasing tended to be rigid and angular, rarely loose and flowing, even on those early albums with jazz instrumentation. The records had jazz musicians but not a jazz singer. The standard version of Bennett’s story is an almost biblical tale of promise, exile, and redemption. After more than twenty years at Columbia Records, Bennett left the company—voluntarily, though without a fight from the label’s potentate, Clive Davis; he re-invented himself through experimentation with jazz, making a pair of celebrated duo albums with the pianist Bill Evans; and he returned to Columbia and found an MTV-jaded youth market hungry for the unpluggable excellence that it saw in Bennett. But the CDs on The Complete Collection, taken chronologically, tell a less dramatic story. Bennett never really made a sudden shift in approach; his style evolved by increments over the decades. He had tried working in the duo setting with a jazz pianist, Ralph Sharon, as early as 1961, on the album Tony Sings for Two. The marvel of Bennett’s work is the gradually unfolding drama of its improvement over time. That is the true consistency in Bennett’s output: the reliability of his doing better and better, seemingly through force of will and a dedication to preserving musical values that he has seen as under siege. His approach to rhythm may be the best example. As rock grew to dominate pop music, swing came to be re-conceived as a classical style, and Bennett slowly and steadily came to master its principles. Working regularly with strong jazz musicians such as Ralph Sharon, Bennett learned to hang casually behind the beat, and he developed the ability to phrase in rhythmic clusters. By the time he appeared with Sharon and a punchy trio on MTV Unplugged in 1994, Bennett could swing the Burton Lane-Yip Harburg standard “Old Devil Moon” as if he had grown up on a dance bandstand. He also learned to reduce—to apply restraint to replace (or at least to supplement) the histrionics that had once made him the object of severe criticism and ridicule. “Bennett’s singing was almost a parody of a cabaret act,” wrote the syndicated television critic Harriet Van Horne. “The style was so overwrought as to make an audience look away in polite embarrassment ... stiff-legged, wildly off-key, eye in a fine frenzy rolling. And those top notes! Pure screaming agony.” Over time, aided by the limits that age enforced on his voice, Bennett grew deft at singing quietly, conversationally. He learned to moderate his attack, reserving his strength for the showstoppers and big finishes that he still cannot resist. He has gotten good at varying the dynamics of his voice to suit his material. He knows when to give us more Tony and less Tony, even if it’s always the same Tony, more or less. A meticulous vocal craftsman, Bennett applies his highly developed and well-seasoned skills to the making of exquisite surfaces—lush tones, fastidiously produced, swinging in time. He sings very much as he appears, impeccably attired and elegantly coiffed with an impressive, natural-looking hairpiece. But there would be little purpose at this point to expect to find much underneath. I cannot help but suspect that Bennett’s genial, exacting superficiality accounts in large part for his appeal to audiences unschooled in the deeper potential of the music that he sings. He serves as a symbol of the untaxing, uncomplicated lightheartedness of the musical culture predating rock—by extension, a validation of rock’s supposedly greater capacity to say serious things. I doubt that this is quite what Tony Bennett has intended. Bennett, a classicist with the fervor and certainty that are the privileges of the converted, strives to serve the music he treasures as an uncorrupting conduit for the work. He brings little of himself to the music, in deference to it. Unlike Sinatra or Holiday—or any of the fine lesser-known interpreters of the American songbook, such as Mark Murphy—Bennett withholds the self in his work. However noble his intentions, the effect is diminishing. Bennett seems not to have internalized the songs he sings. He presents them as musical artworks, but denies the value of interpretation as an art itself. Billie Holiday made clear her presence, her view of the world as an artist, and she employed her songs—the same songs Bennett sings, for the most part—to express her own ideas about that world. Her work was about life as she experienced it, and songs were her instruments. Bennett treats the instruments as the art. He grants no privilege to his thinking, and its absence is a hole that flaws the neat construction of his music. We know exactly where he left his heart, but what of his mind? David Hajdu is the music critic for The New Republic. This article appeared in the December 1, 2011, issue of the magazine.